Do you like steampunk design, craft beers and spacious courtyards? That’s what Élesztőház is all about. Craft beers had a true revolution in the past decade; instead of bigger company products, beers made in small breweries by creative experts rule the market now in Budapest. Brand new inventions, strange and genious flavors appear day by day. The history of Élesztőház starts exactly at this point: the top products of Budapest were introduced by manufacturers on Főzdefeszt, an artisian beer festival, a great opportunity for new breweries every year. 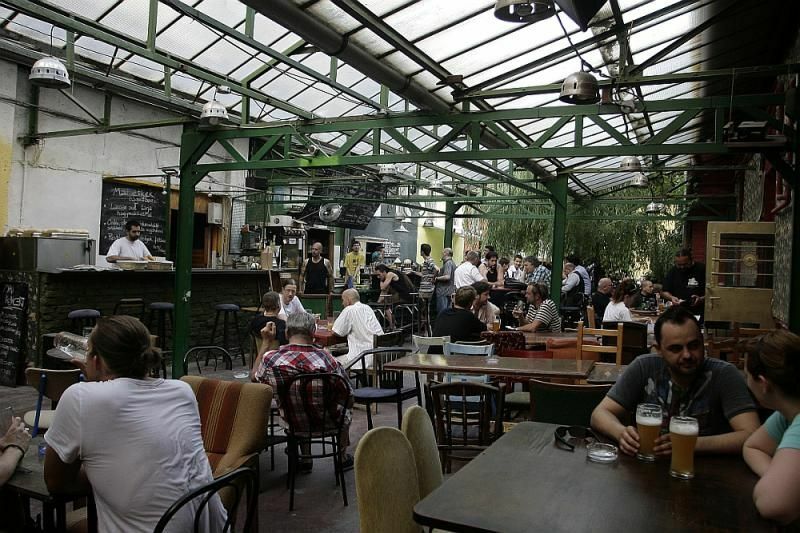 The organizers did not stop here, they opened Élesztőház in 2013, which was the first venue with a constant supply of the finest craft beer selection in town. Lately there are circa 20 different beer taps with a periodically changing collection. Besides specialities and limited editions there are always average beers to satisfy the needs of all customers. In summer, beer is best served on the huge courtyard of Élesztőház, while you can enjoy your drinks inside in the colder seasons. Certainly there are many snacks to choose along your beers. It’s almost impossible to taste everything on the menu, but you’ll always find a new favourite here!